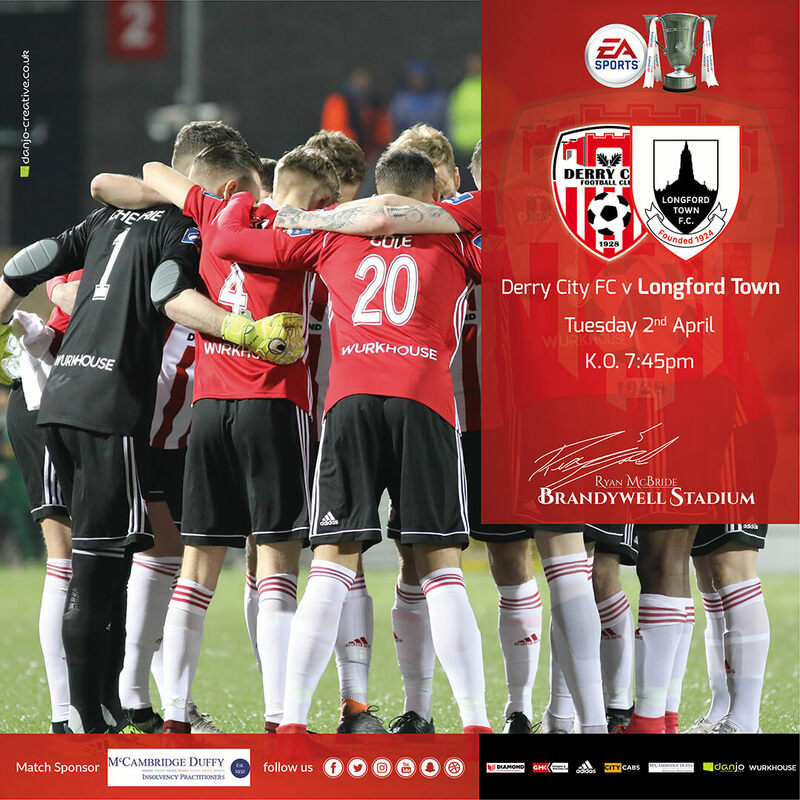 The focus switches to the EA Sports Cup for Derry City on Tuesday night as the holders welcome Longford Town to the Brandywell for a second round tie. With such a hectic schedule to negotiate this month, Declan Devine could easily have been persuaded to make wholesale changes to his starting XI, however that doesn’t look to be the case. “There are only three trophies to play for so we want to be involved for as long as possible in all of them” he began. Find out where you can buy your tickets here or buy online here. On match day from 7pm, tickets will be on sale from Long Tower Youth Club which can be accessed from the stadium car park. NOTE: Season tickets are not valid for cup games. You can follow the match via our social media presence. Follow our Twitter for live updates, like us on Facebook for the full-time post or follow the action on our Instagram story. As usual, Drive105 will be providing live commentary coverage of the game.